Promotional products are unparalleled in their ability to attract new clients, increase brand awareness, and show gratitude for your current clients and employees. Even with the rapid advances of content and digital media, we know promotional products are still a workhorse in marketing. We’ve heard phrases like: “You have to give to get” and “You have to spend money to make money,” haven’t we? But what, exactly, are we supposed to be spending our money on? They are a proven, cost effective way of marketing your company to a large, diverse audience while doing minimal work. Even if this sounds efficient, you might not be completely sold on this marketing tool. Consider the benefits of adding promotional products to your marketing plans. The law of reciprocity: Give, and you shall receive. A study by L.J. Market Research found that 52% of participants who were given a promotional item ultimately did business with that company. And, the remaining 48% of participants said they would be more likely to do business with that company in the future because of their gesture. Giving out promotional products is an “ice breaker,” a very effective touch point in engaging with potential and existing customers. Because you handed them something, he or she is likely to listen to what you have to say. Perhaps the most powerful word in marketing is “FREE”, so why not offer free things? Not only can promotional products help open lines of communication, but they can also get people to you all on their own! Your trade-show booth can only be viewed from so far away, so how do you reach people all the way on the other side of the convention center? Include an interesting, creative promotional product offering at your booth, and those who receive one of your items will generate interest to visit your booth! Printed and television advertisements might run for a few weeks, billboards for a few months, but promotional products are unique in that one item alone could potentially continue to advertise to new target markets for an unlimited amount of time. Whether you hand out note pads, pens, t-shirts, USB drives, hand sanitizers, etc., these items are not large or expensive and are useful. Because they are used practically every day, it is favorable they will have long term market exposure. L.J. Market Research completed another study that interviewed random business travelers in airports across the United States. They found that 71% of the participants said they had received a promotional product sometime in the last 12 months. And, of that group, 33% of those participants had that product on their person! Unlike traditional advertising, promotional products never stop collecting impressions because they are constantly in use or being passed, or re-gifted, from one person to another. The cost per impression using promotional items is drastically less than that of traditional advertising. Brand recognition requires repeated exposure to the brand name, slogan, and logo. It’s about how others see your company. Seeing the same thing over and over again is often one of the best ways to remember something and that’s where promotional products come in. According to L.J. Market Research’s study, 76.1% of people who received a promotional product can recall the name of the advertiser that they received in the past 12 months. And, 52% of participants in the study did business with the advertiser after receiving the promotional product. Brand reputation can sometimes take a lifetime to develop into one that is particularly positive. Why not cut down on that time by using promotional items? 71% of participants in a study done by Louisiana State University could remember the company’s name that gave it to them. You can bet these people also had a favorable impression of the company as well, simply because of their gesture of goodwill. Promotional items can also be given to employees to reward goals met, accomplishments and even just hard work in general. That particular employee will then, more than likely, continue their hard work at an equal or greater level because of the feeling of appreciation they received because of the gift. You’ve read the data, read some compelling examples, and it’s time partner with a promotions consultant who will help guide you into uncharted waters. While digital media propels us forward with content marketing, promotional products are still effective and deliver a favorable ROI. ANDERSON, Ind; June 24, 2014 – Star Bullets Signs & Marketing, consultants and designers of custom signs, banners, and vehicle graphics, has named Shelly Bruzzese as Director of its new promotional products line. Ms. Bruzzese, who had been assisting in developing and implementing new social media marketing strategies for the financial services and non-profit industries, will be in charge of managing and marketing Star Bullets’ new promotional product line. Star Bullets, which has focused exclusively on signs, banners, and vehicle graphics, will expand its efforts to serve the needs of its current customers by providing a full line of promotional products that will include apparel. Ms. Bruzzese will spearhead this drive. Ms. Bruzzese will partner with businesses to uncover creative ways to strengthen their brands. She will assist in helping customers select the most effective promotional products that will build loyalty, create awareness, and thank their customers, clients, and employees. Before joining Star Bullets, Ms. Bruzzese assisted in developing marketing campaigns for student loan servicer Sallie Mae and developed new social media marketing strategies for small businesses in the financial services industry. She will continue to serve as a Director of John’s Hope Foundation, a non-profit organization that advocates for children’s mental wellness. Ms. Bruzzese, a Pendleton, Ind. native, has a Bachelor of Science degree in Journalism and Public Relations from Ball State University. She and her family live in Anderson, Ind. When your business is the first business that comes to mind as a place to find a particular product or service, you have achieved what is called “top-of-mind awareness.” Top-of-mind awareness is built and reinforced through repetition. What business do you think of when someone says, “golden arches?” McDonald’s. Or, what about the retail store that uses a red bull’s eye as its logo? Target. Eighty-five percent of your customers live or work within a five-mile radius of your business. As the drive their morning and evening commutes, take their children to and from school, errands, and shop, they will travel by your location about 50 to 60 times a month. Take advantage of the opportunity your repetitive traffic brings. By commanding their attention each and every time they drive by your business with a compelling, unique sign, you’re building top-of-mind awareness and branding your business. Make sure you include your signage in your overall marketing strategy. For example, a Volvo dealership in Oregon always includes in its radio ads its address, followed by the phrase “under the big blue Volvo sign.” When people see the big blue Volvo sign they remember the commercial, and people actually look for the big blue Volvo sign when they need to make planned visit at the dealership. Another form of repetition is key to effective branding. The name of your business, your logo, company colors, tag phrase, etc., should be consistent on your signs, letterhead, business cards, and print ads. No variations, be consistent. Top-of-mind awareness is a coordinated effort to build consumer recall and recognition and to advance your brand and business to the forefront of the consumer’s mind. As our commitment to customer service, Star Bullets Banners & Signs is available to help its clients with business branding. Contact us today at 765-203-9111 for a free consultation! Posted in Bullet Points | Comments Off on What’s on Your Mind? Your on-premise, focal-point sign should identify your business, mark its location, and communicate the right image of your company. But, most importantly, it should communicate exactly what you are selling. How Can We Attract New Customers? Research indicates that 85% of your customers live or work within a five-mile radius of your business. According to the U. S. Census Bureau, 18.6% of the population relocates annually. This means small business owners face a perplexing reality: every year you’re losing customers that you must replace with new ones, just to break even. Not a sound business model, is it? If you only want to sustain your business (perhaps you plan to retire soon), then simply maintain your current customer base. If you want to grow your business, then you must increase your customer base. 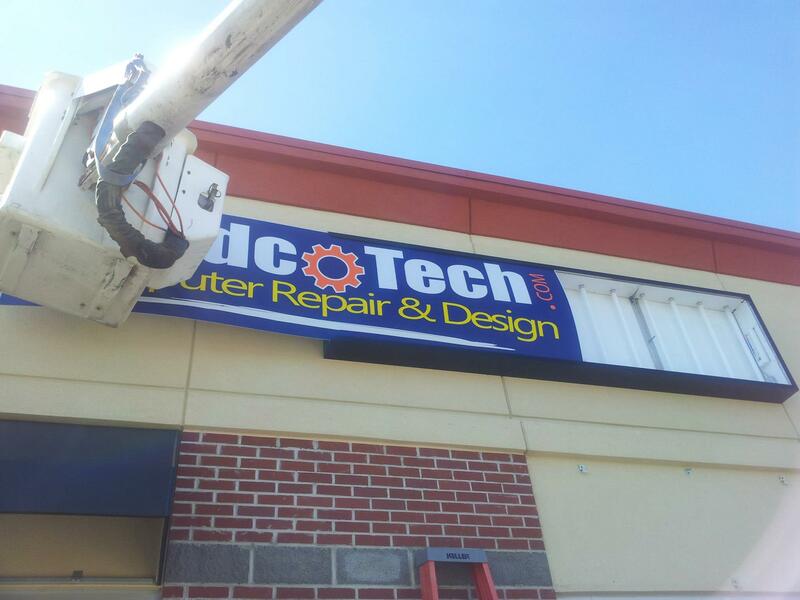 The quickest, easiest, and most economical way to attract new customers is with signage. The first impression is the most important. How many signs do you walk by without even noticing them? Your store and/or company sign is the first thing a consumer will see. It can say a lot about your business. Most business owners take signs for granted because they see them as simply an indication identifying the company. 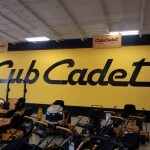 As a result, the potential of what your signage can accomplish becomes underutilized. Signage is more than just a sign, it is a key element to your marketing strategy. Fact: signage is the least expensive but most effective form of advertising! 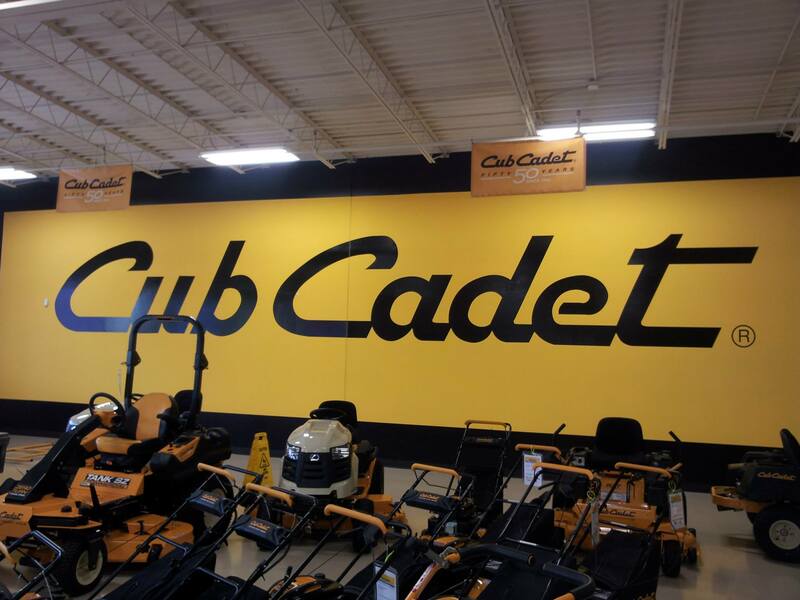 A sign that is designed and placed well will essentially help boost your sales. How exactly does this happen? Signage has a big impression on people and makes them feel like they can trust the company and feel comfortable and confident entering the building. Your exterior sign should identify your business, mark its location, and convey the right image of your company. But, the most important thing it should communicate is what you are selling. But don’t stop at a perfect exterior sign! When your exterior sign gives the customer reason to stop in, be sure to have flashy, well designed and well placed interior signs as well to make the atmosphere arousing to the first time customer. So make your signage unique and stand out against the competition and ensure it conveys your image and message of your marketing strategy. A flashy, well designed and well placed exterior sign will pay off in the long run. Last week we noted that even though your investment in exterior signage may seem lofty, it is one of the most effective ways to spend your marketing budget, according to the Small Business Administration. Once you have reviewed local sign codes, provisions for signage in your commercial lease, and architectural considerations of your building, you can begin to assess two important elements – conspicuity and readability. Let’s begin with some helpful terms. Conspicuity: This pertains to the sign’s capacity and ability to stand out or be distinguished from its surroundings and easily discovered by your clients. In other words, conspicuity addresses issues that are related to your client noticing and being aware of your sign. This can include the contrast between a sign and its background. Your client (and potential clients) need to be able to differentiate your sign from the surround background. Unfortunately, it is difficult to measure conspicuity. Your sign may catch the eye of several motorists, while a pedestrian may walk by your sign without ever noticing it. One reason a sign will be conspicuous to one person and not another has to do with whether or not the person is looking for a particular business or a certain type of business. Someone who is ready to eat lunch is much more likely to notice a restaurant than someone who is simply driving to work. A person with a special preference for the color green will be more likely to notice green signs than another person who is neutral toward the color green. Businesses need their signs to be noticed and remembered, but many times the sign competes for attention because it is positioned among many other visual stimuli, similar-looking stimuli, or a combination of both. 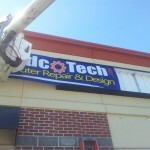 Star Bullets Banners & Signs™ will partner with you to determine effective placement of your signage. Readability: While aesthetics play an important role in the readability of any sign, people may only glance at your sign for less than a second to understand your marketing message. A creative message that includes inventive fonts, trending colors, and interesting graphics may grab attention, but you need your message to be readable. Here is the general rule for the appropriate letter height that you will need to ensure your sign is readable. A good rule of thumb is every 1 inch of letter height provides 10 feet of readability.